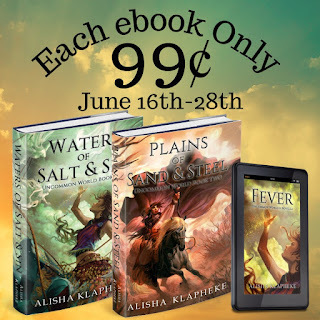 Happy Release day to Alisha Klampheke! 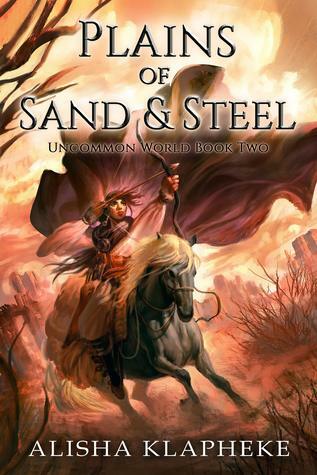 We are so excited to share about the release of PLAINS OF SAND & STEEL, the sequel to WATERS OF SALT & SIN. For this week only, you can grab all 3 eBooks for 99 cents. Also, how stunning is this cover art? Treasure hunter. Sailor. Low-caste salt witch. To save her sister from starvation and hold on to her relationship with Calev—the high-caste friend she secretly loves—Kinneret must get her hands on enough silver to move up in the world. 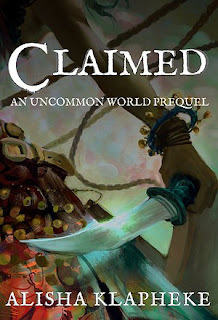 When a storm clears a new port location, Kinneret talks Calev's people into paying her to claim the spot. But before she can seal the deal and earn her coin, not one, but two parties show up, vying for the location and armed to the teeth. Kinneret is not going down without a fight. Perfect for Tamora Pierce, Kristin Cashore, and Sarah J Maas fans! A dangerous romance, a stolen sister, and the mythical treasure that could change everything. A journey to a foreign city, a desperate girl, and a fever spreading like wildfire. 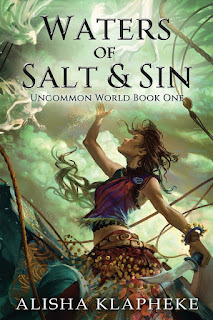 Following Waters of Salt and Sin, Uncommon Book One, Fever takes us to the Empire's capitol in the desert plains along with Calev and Avi. Despite his retinue being laid low with a fever along the road to the capitol, Calev rides on, determined to present an important document to the Empire's ruler to preserve peace in his homeland and prove his ability to become Old Farm's chairman. Avi, days behind him, holds a terrible secret Calev must learn before it's too late. 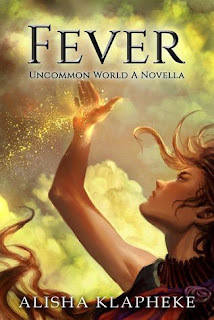 The fever has hit Kinneret, and Avi believes only Calev can save her. Get your exciting follow-up to Waters of Salt and Sin and don't forget to read the spicy Epilogue at the end! ​Kathleen Rushall of Andrea Brown Literary Agency represents Alisha in all things books.